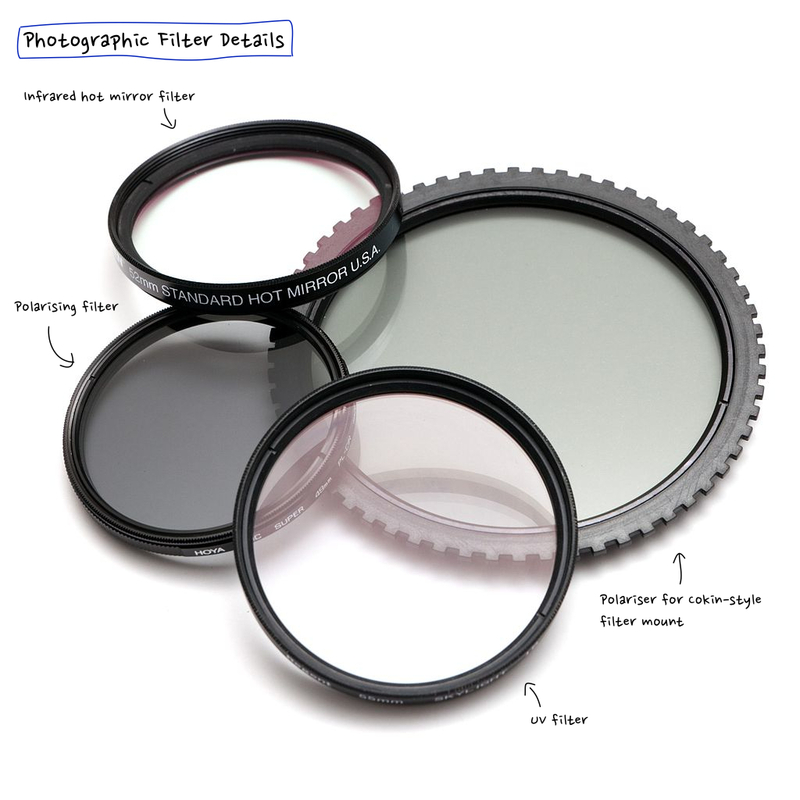 Photographic Filter consists of elements which are designed to sit in front of the lens of the camera to create or negotiate subtle changes to images on need. This effect to be imposed is accomplished by the quality and materials of the filter. So Photographic Filter are used in photography both as a correction measure as well as to create so-called filter effects. Photographic Filter can change the saturation, contrast, protect from UV light or add effects like having stars. Basically a Photographic Filter is nothing but a simple circular plate usually with a screw mechanism to get attached in front of the lens. Today, some of the Photographic Filter is used typically for special niche usage, like we described in the article – Long Exposure Photography with Neutral Density Filter. Close-up Filters are actually not Photographic Filter, to be technically correct. Cost of filters depends on th manufacturer and quality. There are many well established brands that can cost a huge premium. Filters can be sold as a separate unit or as a set of various kind of effect creating filters. Unlike the old film photography, today we can actually create various effects in any Advanced Image Editor like Adobe Photoshop. That factor has reduced the craze of using filter to some extent, unlike they were used before. Filter are usually specific to brand of camera : Filter for a Nikon Lens, might not be mounted on a Canon Lens. Filter adapter is needed to use filter with a lens of a camera. Accordingly, there are also different adapters for these purposes. This Article Has Been Shared 4566 Times! Cite this article as: Abhishek Ghosh, "Photographic Filter in Details," in The Customize Windows, November 22, 2013, April 26, 2019, https://thecustomizewindows.com/2013/11/photographic-filter-in-details/.